Here is some information about the jailbreak UtrasnOw. Please be aware of the risks. Installing the jailbreak is for your own risk and you must be aware that this procedure can go wrong. Functions on the iPhone 2G, 3G and 3GS that don’t work anymore, after the procedure are not our fault. 1. GOLDEN RULE: If you are using a 3G iPhone with yellowsn0w and rely on yellowsn0w to obtain cellular service, then you should NOT use PwnageTool right now. UltraSn0w is not included with this release and therefore your baseband will be locked and unable to use an operator other than the official one it was bought for. UltraSn0w will be release via APT (cydia and icy) soon. 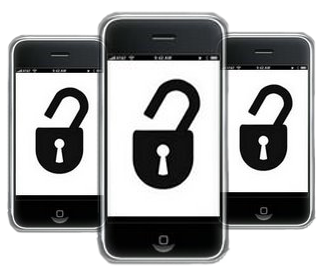 If you have an original iPhone (1st generation) then 3.0 unlock works with this PwnageTool release. 2. Yellowsn0w in its current form will NOT work with the baseband version that is present in the 3.0 update, you will need Ultrasn0w, which will be released sometime soon, Ultrasn0w will work with all iPhone 3G models (but not 3GS), even ones that were previously unlockable, Ultrasn0w (when available) will be released via APT (this means you can get it via Cydia or Icy). 3. Â Please read all parts of this post before downloading and using these tools. 4. Â Read items 1, 2 and 3 again and again. 5. Â At the bottom of this post are the bittorrent files for the 3.0 capable version of PwnageTool. 6. Â This app is suitable for the recent 3.0 release. 7. Â PwnageTool will NOT work for the iPhone 3GS. 8. Â PwnageTool WILL work for Original iPhone (1st Generation), Original iPod touch (1st Generation) and the iPhone 3G. Got a stupid question. I have the new 3GS and I thought that Ultrasn0w is what I needed to jailbreak my iPhone. (I know it’s not out yet). What I don’t understand is this info from the Dev-Team: Ultrasn0w will work with all iPhone 3G models (but not 3GS), even ones that were previously unlockable, Ultrasn0w (when available) will be released via APT (this means you can get it via Cydia or Icy). Can someone please clear this up for me or am I just missing something.